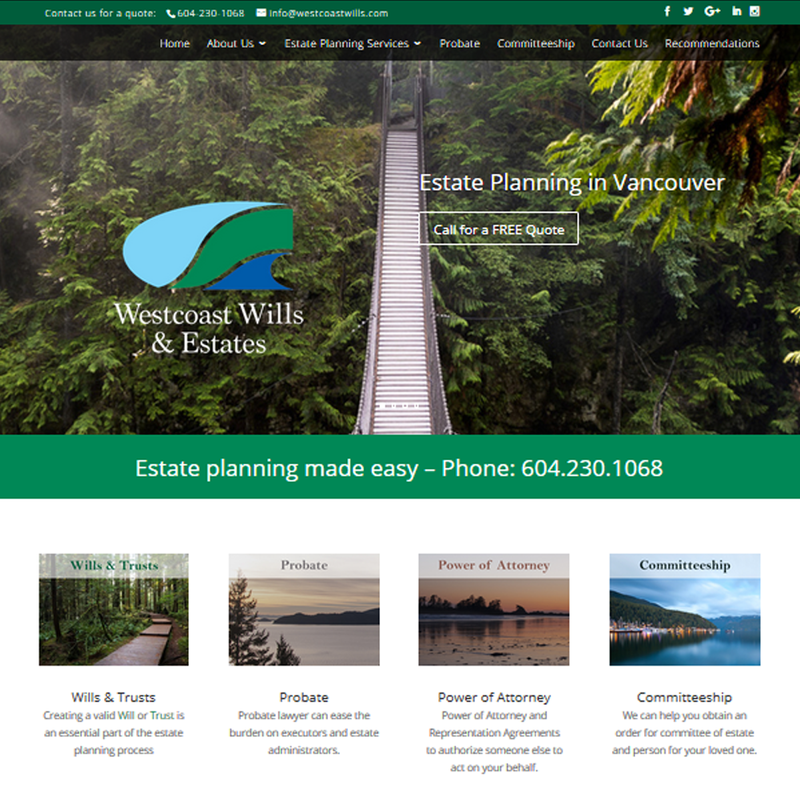 Westcoast Wills & Estates offers unparalleled service and is committed to providing each client with the personal attention that they need to successfully plan for their future. The most important estate planning goals are protecting what you have earned and providing for the ones you choose. If you're thinking of creating a new website or refreshing an existing one, please talk to us before you make your decision so that you are well informed. We will send you our FREE, NO Obligation "Website Brief" to help you scope out all your website needs for now and the future.